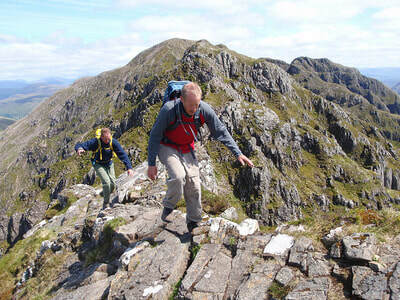 Stretching along the north side of Glen Coe, the Aonach Eagach is every mountaineer's dream. Kilometres of absorbing scrambling, stunning views and traversing two Munro's. With our guided traverse of the Aonach Eagach any hill goer with a good level of fitness and a head for heights can complete a traverse of this spectacular ridge line. 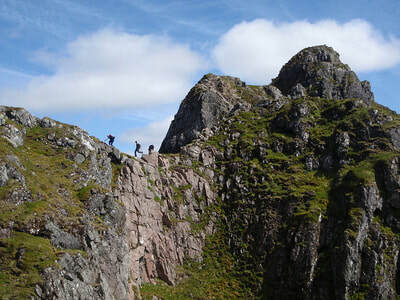 Our day is off with a bang as we make the steep climb to the summit of Am Bodach, and once we're there that is the vast majority of the ascent done for the day. Your guide will then lead the way along the rocky "notched upland", past the pinnacles and on to Stob Coire Leith, where the scrambling ends. We stay up on the ridge as far as Sgorr nam Fiannaidh, at which point we descend steeply back down to the road. 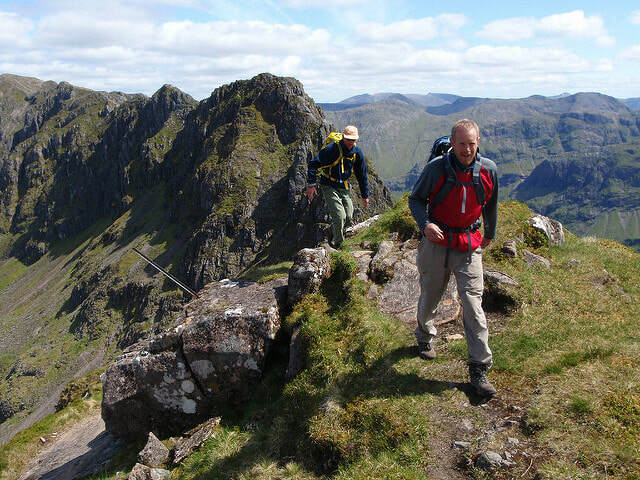 The Aonach Eagach is available with a private guide on any day of the week so get in touch to check our availability and make a booking. 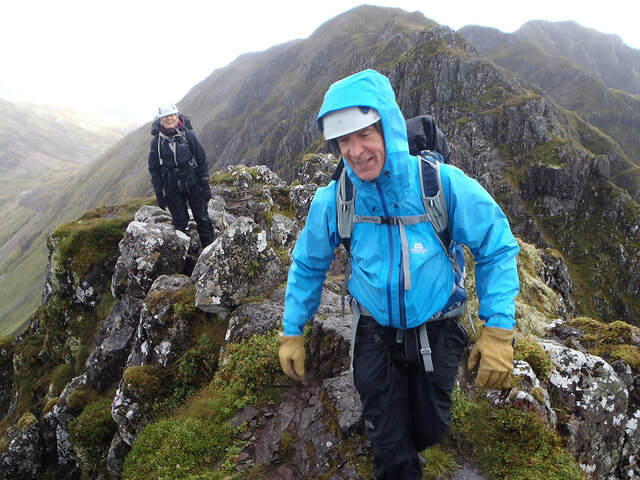 If you are interested in doing the Aonach Eagach in winter take a look at our Winter Mountaineering page for prices and more information. ​The weather in the Scottish mountains can change in a matter of minutes. Rain is common and it can regularly feel as cold as -10 degrees Celsius on the summits, even in the summer. Make sure you are ready for your day by packing the items on the list below.